Jules Doucette aka Julianna hates the Winter Carnival held annually in Copper Falls, her small Texas town. Twenty six years ago, about this time, her world fell apart.Now a single mother, she’s living with her daughter, Becca, in the house she grew up in and is the owner and manager of her mother’s bookstore. Not exactly the life she’d envisioned at seventeen sitting on a park bench with Noah Ryan. Not even close…. 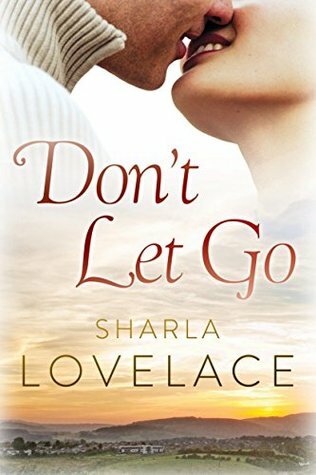 DON’T LET GO is a second chance romance that’s anything but easy. There’s more than the past between Noah and Jules. Part of the appeal is the age of Noah and Jules; they’re in their forties now. Both have a done a lot of living, or at least a close approximation thereof. The complexity and realism of the characters, their relationships, and interactions would be next. How should you react, what do you say, and do with yourself when the love of your first seventeen years waltzes back after twenty-six years? Let’s face it, that young love would have had to be pretty intense to overcome a twenty-six year separation. There’s a lot to thoroughly enjoy about DON’T LET GO and I did, wholeheartedly. However, there was a fly in the ointment. Yes, your first, in almost anything, often holds an undeniably special place in your heart and memories. But, is it reasonable to expect Noah and Jules, beyond the initial attraction and draw from their past, to still feel the same or even stronger? Is it realistic to expect their love to have survived all the water under their bridges? This gave me some pause. As much as both have grown and gone through, should they, would they, or could they even have held on to that love? Sharla Lovelace imbues her stories with hope, faith, love, belief, and no small amount of effort on the part of her characters. She has a quiet way of reminding me to take the time to look around at the small, seemingly commonplace, miracles that surround each of us every day. These are the qualities that draw me to her books time and again, allowing me to ignore that little niggle and lose myself in the place and people she introduces.